Have you fallen in love with South America’s Big Five yet? Read our previous guides…and you will! Among South America’s most enticing attractions, there are 5 that shine through like the priceless gems they are. Machu Picchu, the Galapagos Islands, Rio de Janeiro, the Amazon Rainforest and Iguassu Falls are South America’s most coveted destinations. Planning a trip to visit them all in one go is a little more logistically-challenging than planning several tours at different times of the year, yet with a little assistance you can easily pinpoint the best option for you. You’re more than welcome! If you’ve read our above-mentioned previous guides, you’re on your way to being a Big Five expert. You’ll know where the best entry points are and how much time you should allocate to each destination. In this guide, we’ll run through that all important factor: The Best time to Visit South America’s Big Five. The months between May and October are high-season for Machu Picchu, as this is the dry season up in the Andes and makes for much more enjoyable hiking. This also coincides with the northern hemisphere summer holidays, so although Machu Picchu will be glorious, it will also be rather crowded. Due to the altitude, you can expect crazy jumps in temps between day and night, which is only an issue if you’re planning to hike the Inca Trail. High fog can be a nuisance at any time, yet it must be said that these Andean valleys drenched in fog make for some of the most ethereal photos. 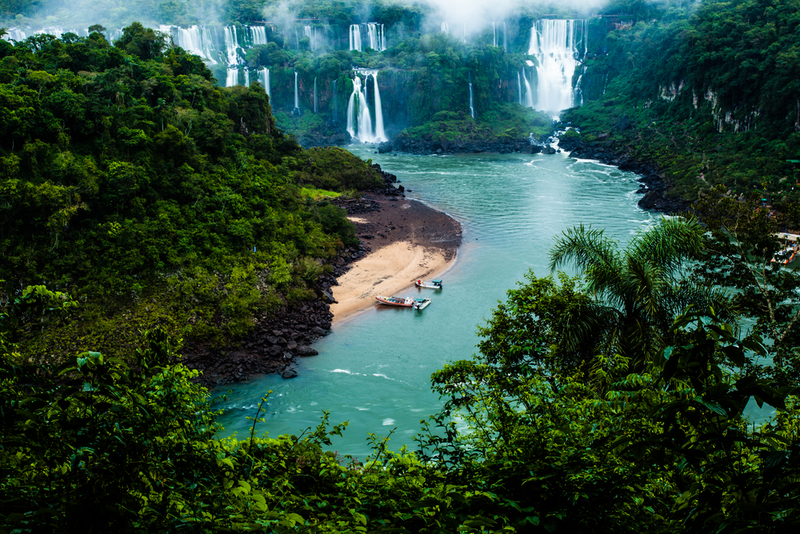 This is one of South America’s most visited sites, so if you wish for a little more elbow room, and an equally awesome experience, then aim to travel here in the shoulder months of April and November. It’s worth noting that the Peruvian Government closes the Inca Trail every February so the yearly clean-up can take place, something you should always keep in mind if you wish to hike there. 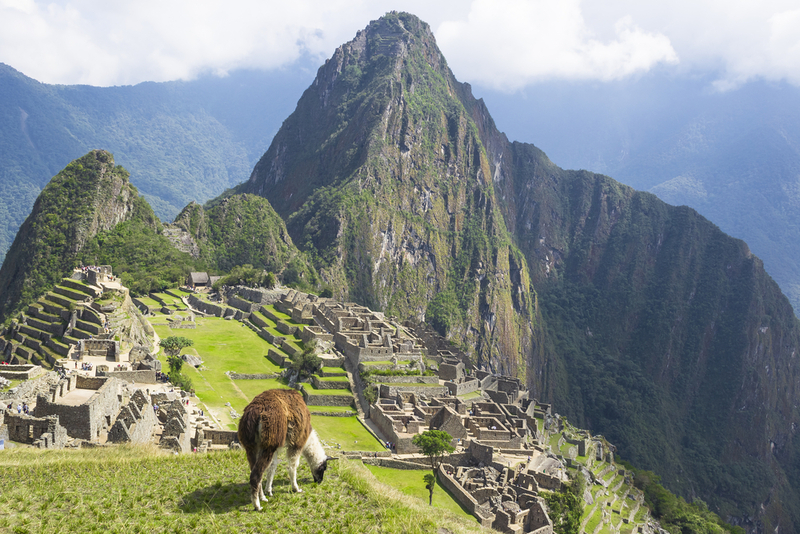 Getting to Machu Picchu on the train is no problem all year long. 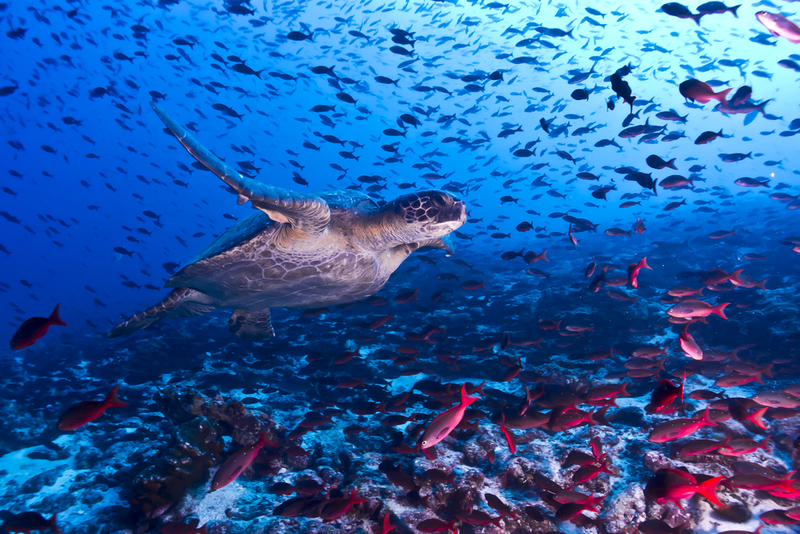 The underwaterworld at the Galapagos. Photo credit: Shutterstock. The Galapagos archipelago is dissected by the Equator and enjoys a very tropical climate, although the waters are always on the cooler side. The months between June and November are cool and dry, whilst the warm and wet season, between December and May, are favoured for their warmer temps and good visibility underwater, ideal for snorkelling and scuba diving. Having said that, do note that the Galapagos are incredibly stunning to visit at any time of year. When it comes to Amazon adventures, the ‘best time’ to visit really does depend on what you enjoy most. Rain season is between January and June, and although you can expect a good drenching almost daily, the swollen rivers and flooded forests are awesome to explore by boat. You can go further inland in wet season than in dry season, which makes for great wildlife viewing in hard-to-reach areas. July to December, during the alleged ‘dry season’ (it’s still a rainforest so don’t expect it to be actually dry at any time) you’ll suffer less of a drenching, less mosquitos and enjoy fantastic jungle walks. High humidity will be your constant companion all year long, but it will be considerably hotter during the drier months. If squeezed for a definite ‘best of best’ time, we’d have to say that mid-May to mid-June is a great time to visit, where you do enjoy the best of both worlds. Being not only an exciting metropolis but also a stunning beach hub, Rio is best visited in summer, although the hottest months of January and February are best avoided, if possible. Temperatures during this time can easily hit 40 degrees Celsius, making sightseeing quite arduous. 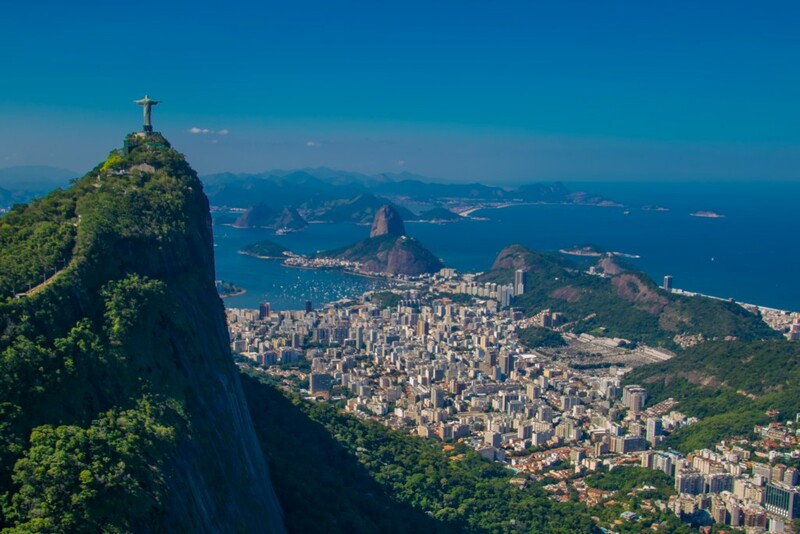 Aim to visit Rio from late September until Christmas, or after the heat has subsided in the months of March and April. Of course, Rio is home of the world-famous Carnival which is held in February. This is the world’s best party and if you ever (and we mean EVER) have the chance to visit during this time, you’ll be scoring Brazilian gold. If there’s a single valid reason to put up with the at-time overwhelming February heat, the Rio Carnival is it. Oh our favourite conundrum! Ok, let’s be clear: Iguassu falls are A.MAZE.BALLS at any time of year, but we do admit that considerable water flow certainly induces more WOW reactions. Colossal water levels make for an extraordinary experience but, in turn, this means that some of the trails and activities are unavailable due to safety concerns. Helicopter rides over a near-bursting Iguassu Falls are absolutely out of this world. If this is what you dream, then visit between December and February. Don’t mind compromising on water-levels to have a greater chance for blue skies and spectacular photos? Then avoid the rainiest months and, instead, visit between April and June, or August to November. A quick glance above will tell you that April and May are the best months to visit if you wish to see South America’s Big Five at their very best, and all in one go. If you’re lucky enough to have your vacation time over this period then you can look forward to an unforgettable adventure. If not, never fear. Here at Chimu Adventures, we still have a few more aces up our sleeves. Our experienced consultants still know plenty of ways to play with your itinerary so as to maximise time and enjoyment of your journey. 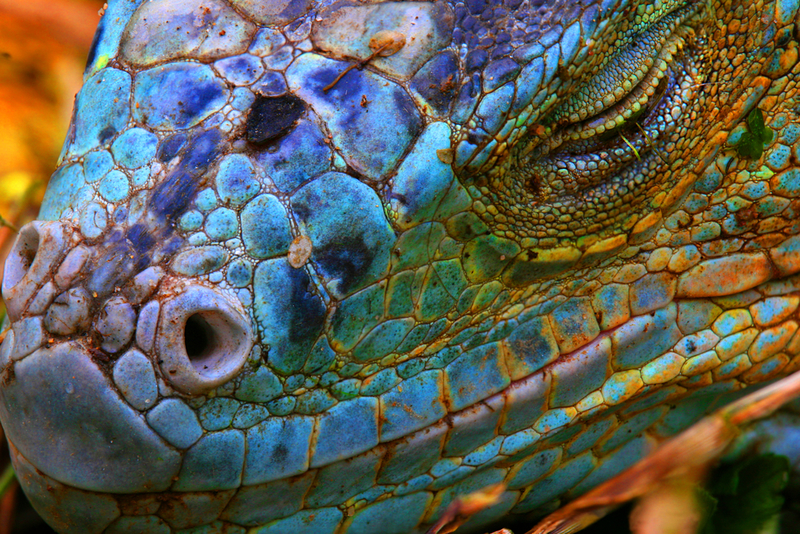 No matter when you travel to South America, we’ll find a way to help you experience of all these amazing wonders. All you have to do…is contact us! Click here for more information about South America’s Big Five!